Usually a complex supply chain comprising of multiple large, medium and smaller suppliers relies upon a successful manufacturing process and end product. Horizon is agile in nature so we can gear our solutions based on specific requirements. We can be a sole provider or cooperate and integrate with our competitors if required. The automotive industry’s international combination of multi-company, multi-stage production means that stock has to get where it needs to be – on time, undamaged, and in the most cost-effective way possible. Horizon partners with its automotive clients to meet their specific automotive challenges, reduce costs by optimizing the supply chain, and ensure that they have the time they need to focus on their business. Horizon’s “Control Tower” approach provides complete operational, tactical and strategic control throughout your supply chain. Our online enterprise system, hiCloud, allows full transparency and proactive quality control as well as real-time tracking and tracing all the way down to part and order numbers. Our dedicated teams can even link your Order Management System to our tracking and tracing abilities, giving you full control every step of the way. Horizon International is strategically located across the world with teams committed and dedicated to the automotive industry. Our superior account management and strong network can match the needs of even the largest global companies, and you will always have a direct line to somebody who knows your business – and who knows what is going on. The complex, cross-border nature of the automotive industry requires a solution that balances cost with urgency. Horizon creates the right combination of sea, air and road transportation – from general bulk sea freight to ‘next flight out’ – to meet your specific requirements. You will receive a solution based on your evolving real-time scenarios, from a partner who understands the challenges your industry faces. 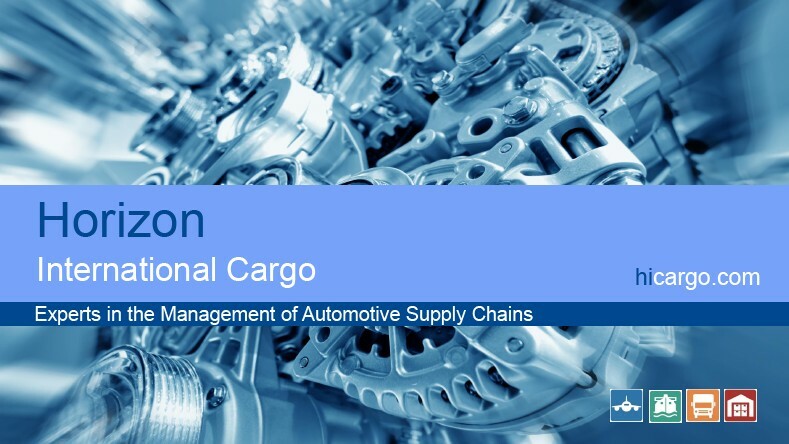 The complex structures of the automotive industry impose huge challenges on logistics services. With our global expertise, we can offer you customised transportation and logistics solutions that meet all your requirements. We work closely with our automotive clients, who benefit from customised solutions that meet their exact requirements and are continuously being improved. Different modes of transport and contract logistics services are combined to form the ideal logistics package for every supply chain.